Today marks the start of baseball season! 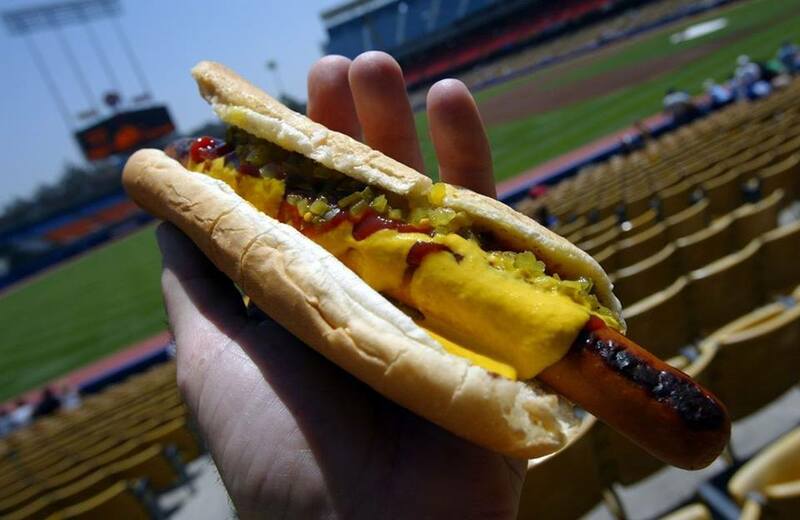 Hard-working UFCW members across the country produce and package a lot of the hot dogs people will chow down on while watching America’s favorite pastime -including the famous Dodger Dog, made by UFCW 770 members. But while baseball and hot dogs might be a national past time, how you like to top your dog can say a lot about where you live. 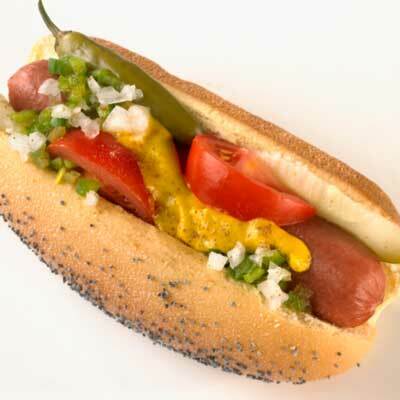 The possible antithesis to New York dogs, Chicago dogs are layered with yellow mustard, dark green relish, chopped raw onion, pickle spear, sport peppers, tomato slices and topped with a dash of celery salt and served in a poppy seed bun. 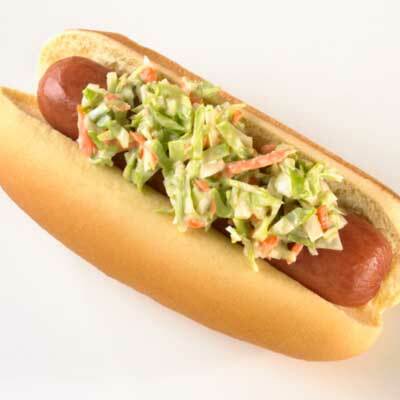 Buying a hot dog at Turner Field, home of the Atlanta Braves, or elsewhere in Atlanta and the south, you’ll find your dog topped with coleslaw and perhaps some delicious Vidalia onions. Get the mints out – you’ll need them when you order up a hot dog in KC as it is served with sauerkraut and melted Swiss cheese on a sesame seed bun. 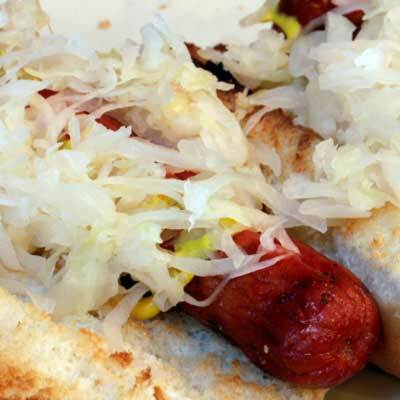 Served at Coors Field, the home of the Colorado Rockies – is a foot-long dog with grilled peppers, kraut and onions. This Southwestern favorite features a grilled, bacon-wrapped hot dog on a sturdy bun, pinto beans, grilled onions and green peppers, chopped fresh tomatoes, relish, tomatillo jalapeno salsa, mayonnaise, mustard and shredded cheese. Chili, cheese and jalapenos make this the favored item at Minute Maid Park in Houston. 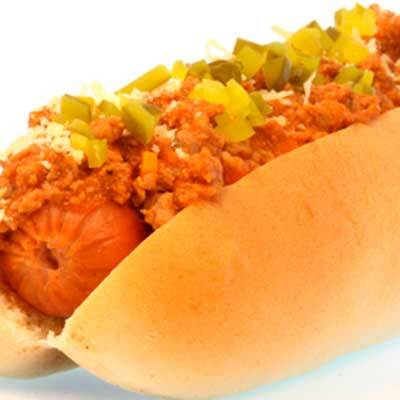 This favorite of Michiganders features a meaty chili sauce on top of a hot dog with mustard and onion. 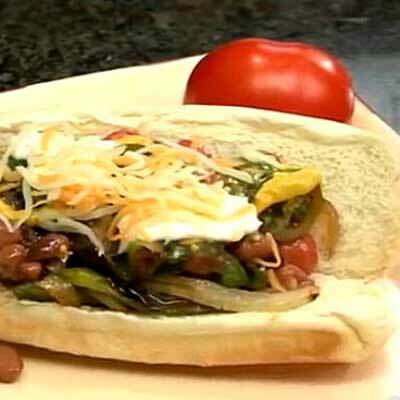 This favorite features chili, mustard and coleslaw atop a wiener on a steamed bun. A variety of hot dog styles can be found in New Jersey but the one most unique to the state is the Italian Dog. It’s a hot dog in thick pizza bread topped with onions, peppers and deep fried potatoes. A classic Philadelphia dog is one of the most interesting ones you’ll find. 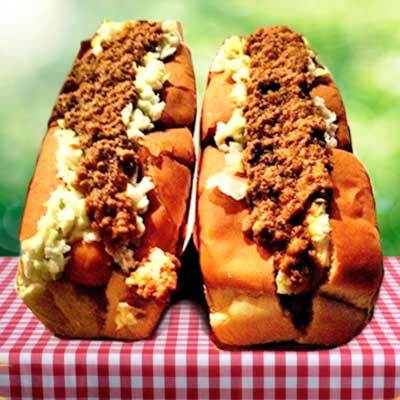 It features the brotherly love of an all-beef hot dog with a fish cake inside the bun as well. 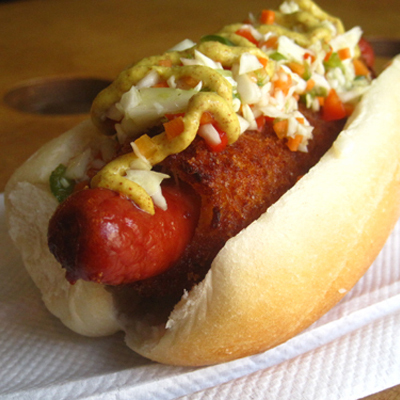 It is often topped with a sweet vinegary slaw and spicy mustard. Cleveland is home to two unique hot dog offerings. 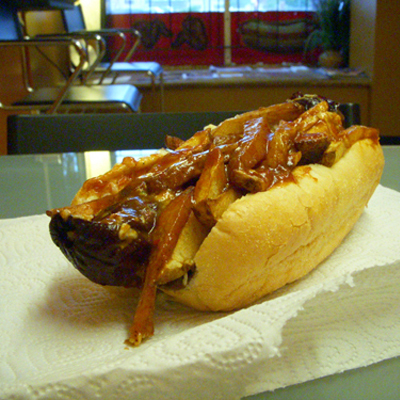 The Polish Boy is a kielbasa or hot dog served on a bun covered with a layer of french fries, a layer of sweet southern style barbecue sauce or hot sauce, and a layer of coleslaw. It is commonly found in carts around town. 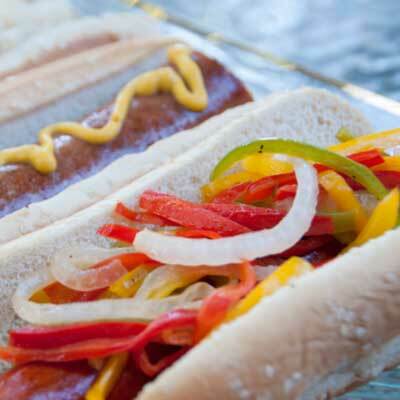 At Indians games and elsewhere in the city you can also top your hot dog with Stadium Mustard, a type of Brown mustard with similar flavor to a spicy Dijon mustard. 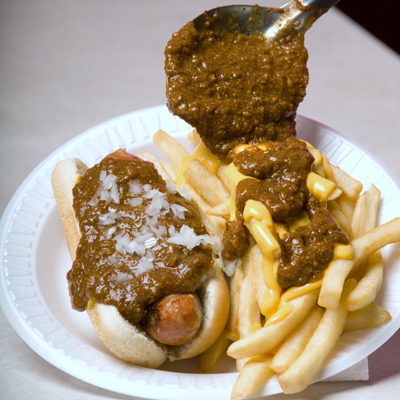 The home of famous chili is also the home of some delicious chili dogs. 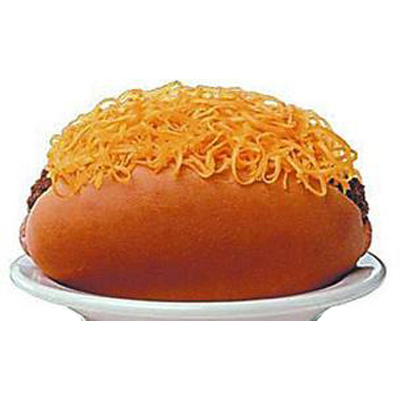 These are topped with Cincinnati style chili and usually also feature a heaping mound of grated cheddar cheese on top. The Nation’s Capital is where you’ll find the half-smoke: a half pork, half beef sausage that is like a hot dog but with more coarsely ground meat and a little extra spice. 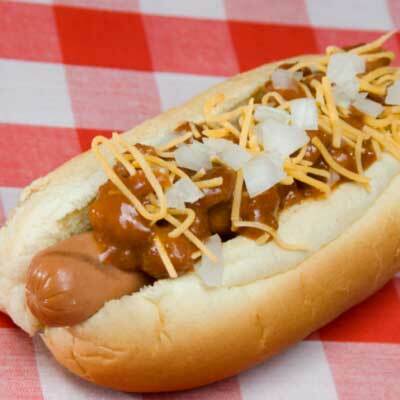 A classic half-smoke is topped with chili, mustard and onions. You can find them in hot dog joints around the city as well as at Nationals Park. 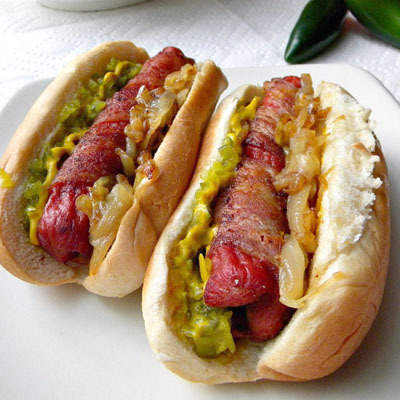 There are many different hot dog varieties sold throughout the state of California, but the one most unique to the state is a bacon wrapped dog with grilled onions and peppers. These are favorites from carts around Los Angeles and San Francisco. 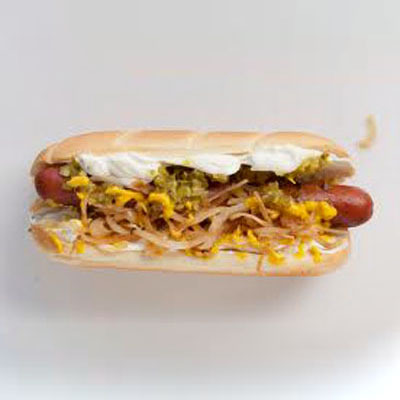 The Seattle dog offers a topping twist not found in many places around the country…cream cheese. 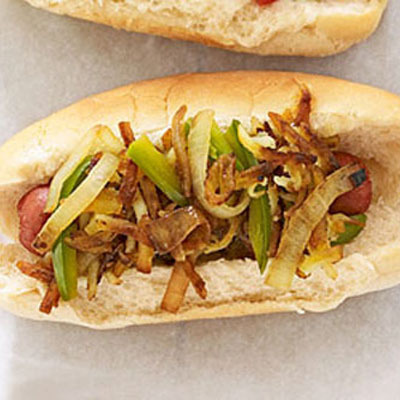 The hot dogs are split in half and grilled before being put in a toasted bun and are also topped with grilled onions. Sriracha sauce and jalapeños are popular additions as well. 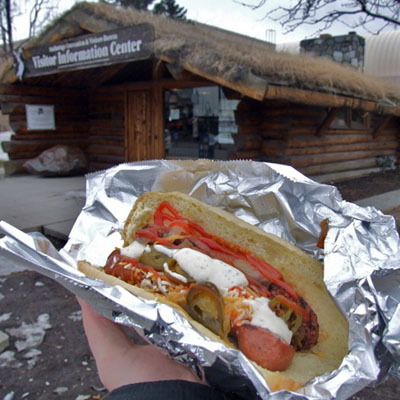 True to its roots in the far north, the Alaska dog is commonly called a Reindeer hot dog or sausage, but it isn’t actually made from reindeer meat. Instead the meat is typically caribou. 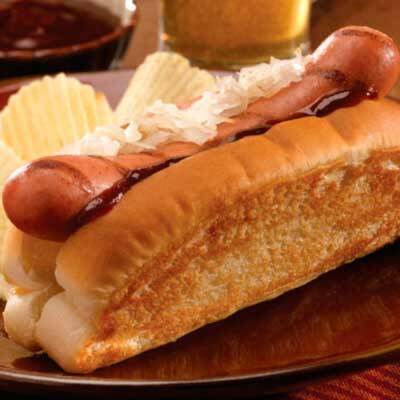 The hot dog is served in a steamed bun with grilled onions that are sometimes sautéed in coca-cola.